Release Date: September 19th, 2017! *Physical copy kindly provided by Macmillan. 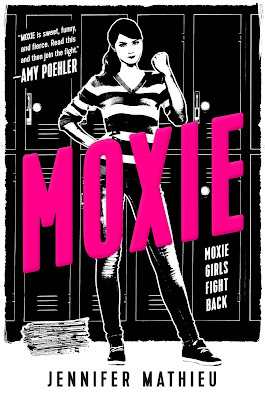 It's been weeks since I've read Moxie, since I decided to do a review interlaced with my thoughts on feminism, but I couldn't figure out where to begin. How do you explain a tangled web of feelings regarding fighting the patriarchy? It's something I think this story does SO well. It tackles not only the double standards, the sexism and misogyny that are so prevalent in this society, but the complications that come from labeling yourself a feminist in a world that turns up their nose with disdain and scoffs at the word. A world that is made for men, that teaches women that they don't matter, that they are inferior. Calling yourself a feminist just invites mocking and scorn; attention that comes with demand. But as a young woman, feminism can be empowering. 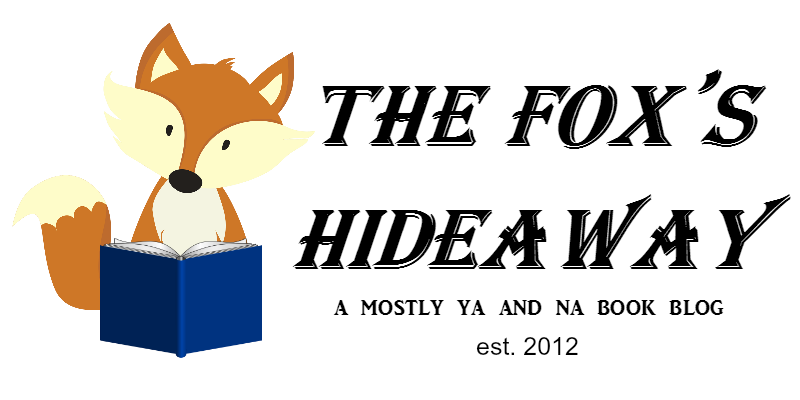 Like this book! I'm not a teen anymore, but I still found myself feeling super inspired by what the main character, Vivian, and these Moxie girls were accomplishing. I honestly wish there had been something like this when I was in high school, when I was still figuring myself out, when I was still shaping into who I am now. Something to tell me how empowering female friendships can be, how we should be supporting other women instead of tearing them down. That we should be calling out gross and problematic behavior. That we shouldn't settle for anything less than knowing we are completely worthy of belonging in this world. Vivian started a revolution in her school, and in turn reminded me that some issues are bigger than your fear, that courage doesn't just mean Big Acts but the small ones that make up who you are. It's not easy fighting; it's not easy for women who try to carve out their own spaces, especially if they are women of color. Intersectional feminism is important! Moxie touched upon it, made sure that it wasn't ignoring the intersections of people's lives. But with all the misconceptions about the word and what it means, people don't really look at feminism as a positive movement. However, in the current political state of the country, it's imperative that we continue to dismantle the system. I love that Moxie, through this, reminds you that it's okay not to have it all together and it's okay to not be perfect. There was so much goodness in this book, it's ridiculous. It was SO. AMAZING. The vines were really unique and cool, and I adored Vivian and rooted for her the whole way through. I'm so, so glad that teen girls have this book. Something with girls their age taking a stand and trying to make their school better, something to show them that that they have value in this world no matter who they are. It is the perfect, feel-good but kickass destroy-the-patriarchy story that I honestly wish I could give to every single young woman out there. ASDFJK;L JUST READ IT, GUYS. Here is the tour schedule!